A key part of great sales and marketing strategies is that they work in concert with each other. We develop our marketing communications plans by first asking the sales team what they need to help them generate a lead and seal a deal. That might be online presence, collateral material, presentations, social media, events, traditional media advertising, public relations, thought leadership such as white papers or subject matter experts on seminar panels. The point is to work with those closest to the customer, those who know the customer characteristics, interests and preferred marketing channels, to create relevant and consistent communications. 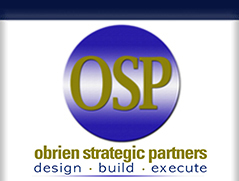 At OSP, our team of experts in sales and marketing will work with your team, and your customers through targeted focus groups if necessary, to build the most applicable marketing communications strategy specific to your needs. We have the expertise and connections to build an appropriate budget around your marketing communications expenditure, train your sales team and tie it into your customer relationship management system. The goal is to generate leads that ultimately generate new sales, through a marketing communications strategy that is tailored to your sales team’s strengths.